I haven’t done a “We Ate It” Round-Up in a while (since March!!) because apparently, I have been eating nothing but cookies. OK, that’s not really true (it’s really because we’ve been traveling and going to so many events). But seriously, when I called up all the photos taken in October, lo and behold, the non-homemade stuff consisted of two different cookies and a trip to Chef Quinten Frye’s new spot, Cocina. Well, cookies can’t be denied. 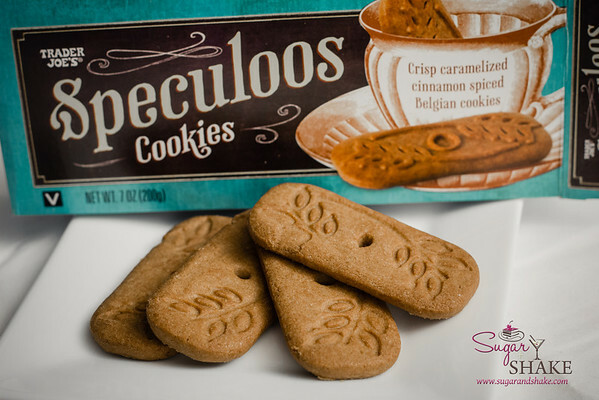 First up, Speculoos cookies from Trader Joe’s. Several people have given us jars of Cookie Butter but TJ’s also has Speculoos cookies, which is what Cookie Butter is made of. Honestly, I like the cookies better than Cookie Butter. I’m planning on trying to make a batch from scratch. My other cookie indulgence: warm chocolate chip cookies at The Manifest. The Manifest is now serving bar food…and it’s excellent. I love bar food and I really like that what The Manifest serves up is real food—it’s not just fried everything. For example, they have fantastic, garlic-y, fresh bruschetta. And they have cookies! OK, the cookies are really meant for their daytime customers, when they’re a coffee bar, but who am I to let a cake platter of cookies languish? Justin P. warmed up my cookies (ooh, just like oven fresh!) and Justin W. made me a lovely gin and Crème de Violette cocktail. You know what? 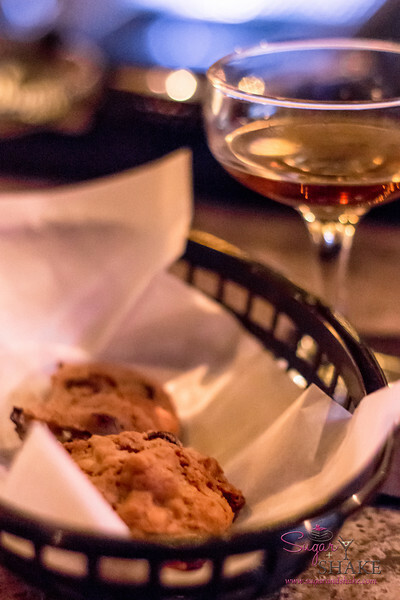 Warm cookies at a bar? Awesome experience. 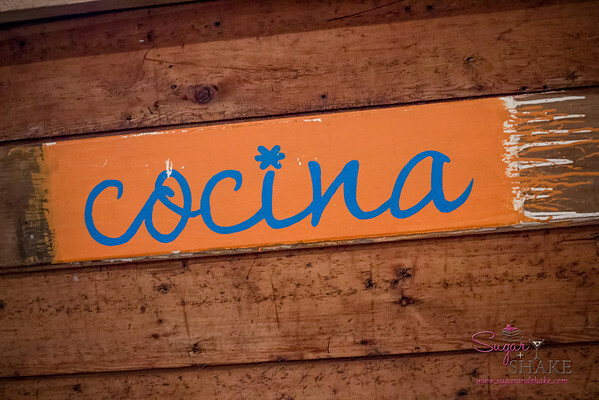 And finally, we stopped in at Cocina to see what Chef Quinten’s new place is like. Earlier this month, Quinten opened up in the former Whole Ox Deli spot in Kaka‘ako. He serves up Mexican food, some of it street food, with homey flavors, but kicked up a notch. I’m going to try not to totally fall in love with any particular item because I have a feeling that Quinten’s going to change the menu frequently. 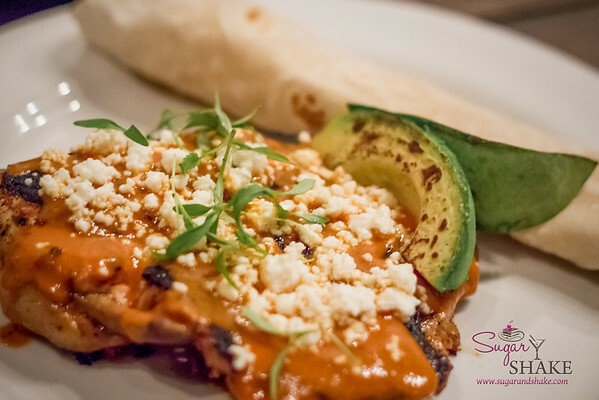 Of course, it is already too late because this Brick-Pressed Jidori Chicken with tinga purée, house made flour tortilla, avocado and queso fresco is pretty much my new favorite chicken dish. The chicken was done to perfection, a bit of crisp skin, not too dry, and the amazing tinga sauce all over. Evidently, tinga is a Mexican dish of shredded chicken with a tomato and chipotle sauce. So in this dish, a similar sauce is served atop the chicken breast for a more refined version. 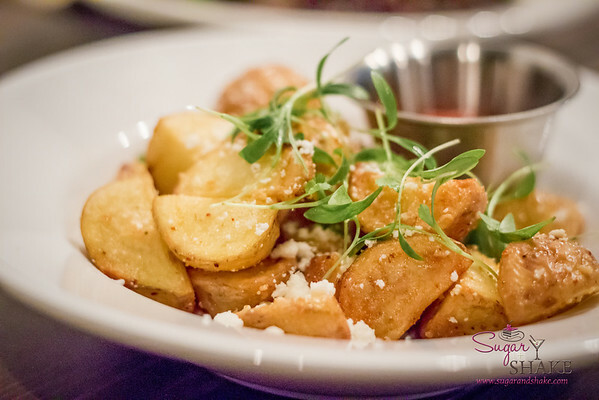 We also got a side of Papas Fritas with toasted garlic, Tajín seasoning, queso fresco and habañero ketchup. I haven’t had potatoes I’ve loved this much since The Whole Ox version 1.0 had their “Johnny Aloha Potatoes.” I also need to get some of that Tajín seasoning—it’s wonderful, salty and with a zing of lime.